Can I embed an assignment into an LMS, blog or website? If you want to embed your lesson into your LMS or blog, this article will help. Your students can watch the video from one place, and you'll collect the progress report and responses in Edpuzzle. Go to the "My Classes" tab and select the class you shared the assignment with. Click on the specific assignment you want to embed. On the right, you'll see the first option "Share assignment." Clicking on it will give you the URL and the embed code. Click the blue "Copy code" button. You can paste the embed code into virtually any LMS on the market, like Schoology, Moodle, Blackboard, Canvas, Haiku or Edmodo. If you need help embedding your lesson into your LMS, please let us know by contacting us at support@edpuzzle.com. Do my students need an Edpuzzle account? If you'd like to record your students' progress on an assignment, then students must have an Edpuzzle account. However, if you're simply sharing your content with a colleague or don't need to record their grades, then the person you're sending the link to does not need an account. To track your students' progress on a video assignment, they will need an Edpuzzle account. When they complete assignments through their account, you’ll be able to see whether they’ve watched the video, their quiz responses and more. See the article on how to invite new students for instructions on how to add students to your Edpuzzle class. If you don’t need to track progress, you can share a link to your video that anyone can access, even without an account. You can do this from the "Assign" window by clicking on the "Public links: tab. You can share the video lesson link or embed the assignment. When somebody opens a publicly shared link, they can view and complete the video assignment, but their answers and progress will not be recorded. 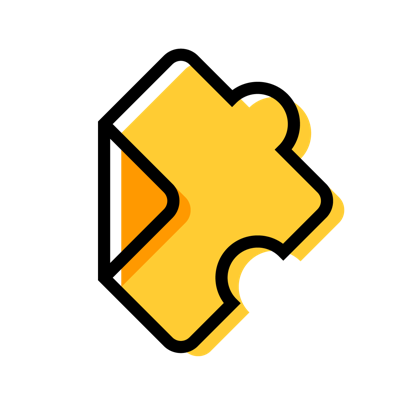 To sum up, students need an Edpuzzle account if you want to track their progress. Otherwise, they can simply view the assignment through a public link. Happy teaching! There are two ways you can create a new Edpuzzle class: directly from "My Classes" or after editing a video lesson. If this is your first class, you'll be prompted to click the “Create a new class” button. Otherwise, click the “Add new class” button in the left sidebar. Set a name for your class. Once you’re done editing your video, click the blue “Finish” button at the top right corner of the page. A pop-up window will appear. Select the “Add class” option. Click the check mark. Your new class will be created, and the video lesson will be assigned. Your new class is now ready to go! If you'd like to learn more, check out our article on how to add students to your class. How can I sort my students? In your class roster, students are automatically sorted alphabetically by last name, from A-Z. Click on the heading of your choice to sort, and click on it again to reverse the order.